Lake does not have hard evidence to answer his question. But he speculates, using the old reliable “circumstantial evidence”, to point to Israel’s Mossad,”for a string of slayings of Iran’s nuclear experts”. The most recent Iranian to die is nuclear scientist Mostafa Ahmadi Roshan, killed in his automobile in Tehran Thursday. Six weeks ago in Washington, on the sidelines of a major U.S.-Israeli meeting known as the “strategic dialogue,” Israeli Mossad officers were quietly and obliquely bragging about the string of explosions in Iran. “They would say things like, ‘It’s not the best time to be working on Iranian missile design,’” one U.S. intelligence official at the December parley told The Daily Beast. Consider the arrogance of this scene: Saber-rattling Israeli experts, joking about the “danger” of working on Iran’s nuclear sites. They know deaths have been arranged. In their best tough-guy, B-movie swagger, they find the death of relatively low-level Iranian scientists to be a source of amusement. These saber-rattling Israel nuclear experts are higher in rank than those US Marines who were caught on Youtube urinating on the bodies of dead Taliban fighters. Disdain toward a perceived enemy–and laughing and bragging about it–is dispicable, inhumane, and reprehensible, regardless of rank. Michael Adler reports on the anti-Iran campaign in his Daily Beast report. While no one will confirm that a covert campaign is being waged, many see such a strategy as just the sort of thing one would want to use against an Islamic Republic believed to be seeking the bomb. The campaign would include the Stuxnet computer virus, allegedly unleashed in 2009 to destroy about a fifth of the centrifuges turning at Iran’s main uranium-enrichment plant in Natanz, and booby traps on equipment Iran buys abroad that ensure the equipment malfunctions once put to use. And then there are assassinations. The facts from Wednesday: 32-year-old Mostafa Ahmadi Roshan (pictured below with his son) was killed when a motorcyclist attached a magnetized bomb to his car as he was driving to work. Roshan was director of commercial affairs at the Natanz plant. The attack was the fourth of its kind on an Iranian scientist in two years, with three of the men killed and the fourth surviving to become the head of Iran’s Atomic Energy Organization. These attacks–past and future–are designed to intimidate and provoke. They are not intended to impede any serious progress or nuclear design or production process. Many experts have concluded that Israel’s claim that Iran is creating a nuclear arsenal is as empty and false as the Bush-Cheney “mushroom cloud” warning that justified the US attack on Iraq in 2003. Israel is obviously doing its best to push for a war with Iran which it wants to be “provoked” by Iran. Israel wants absolute hegemony over the region, which is why it developed its own nuclear arsenal decades ago, and it is also why it insists it will not tolerate nuclear arms in the hands of its neighbors. From at least one surprising corner, support for this Israeli war scenario has slipped. At the New York Times, reader complaints poured in after the Times and other media outlets promoted the Israeli reading of an assessment by the International Atomic Energy Agency (IAEA) that Iran’s nuclear program had a military objective. The Israeli reading of the report was a distortion of the facts. The Times Public Editor Arthur Brisbane agreed that the complaints about this distortion were legitimate. He called on his own paper to “correct the story”. I think the readers are correct on this. The Times hasn’t corrected the story but it should because this is a case of when a shorthand phrase doesn’t do justice to a nuanced set of facts. In this case, the distinction between the two is important because the Iranian program has emerged as a possible casus belli. In other words: it’s important to get this right, because getting it wrong unjustly promotes the cause of war. After serving as a major cheerleader for the 2003 Iraq “shock and awe” invasion, the Times appears to have learned its lesson. Perhaps, finally, it has discovered how US centers of power have moved into foreign hands. The Israelis have, of course, played their own part in the big show. In the last few weeks, it has been sending out signals that it is getting ready to bomb Iran’s nuclear facilities (and embroil the United States in its most calamitous Middle East war yet). Accordingly the House Foreign Affairs Committee hurriedly convened this week to consider a new “crippling sanctions” bill that seems less designed to deter an Iran nuclear weapon than to lay the groundwork for war. On May 20, 2011. 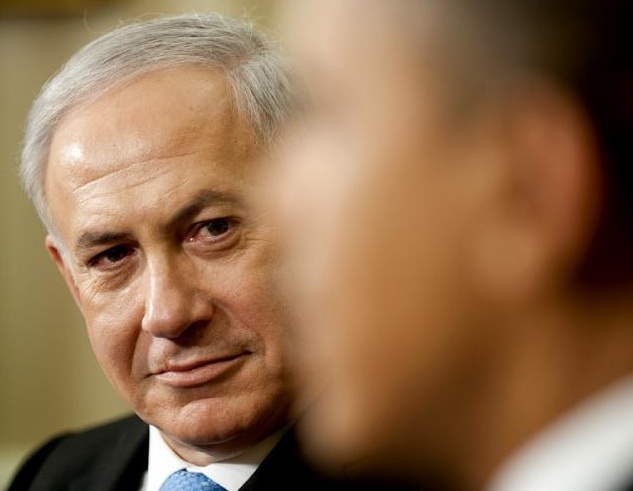 Prime Minister Netanyahu came to Washington for a victory lap around Barack Obama’s track. Israeli Prime Minister Benjamin Netanyahu arrives in the United States today for a much anticipated visit. He will do a little fund-raising, will speak before Congress and at the American Israel Public Affairs Committee (AIPAC) annual conference, and will meet with President Barack Obama. Netanyahu can expect the visit to go smoothly, with an adoring joint session of congress rising to its feet to applaud him and more adulation from the AIPAC gathering. The “adoring joint session of congress” outdid itself with thunderous applause and 29 standing ovations. The revealing picture of the Prime Minister of Israel smirking in triumph at the President of the United States, was taken during Netanyahu’s visit with President Obama in May, 2011. It was taken by Jim Watson for Agence France-Presse. And this is the man who expects President Obama to join him in his war against Iran. In the video below, Mark Perry is interviewed by Al Jazeera. The interview focuses on a column Perry published this weekend for the Foreign Policy web site. The report describes CIA memos from 2007 and 2008 that accuse Israel of running a “false flag” operation against the US. A “false flag” operation is an action in which Israeli agents pretend to be CIA agents conducting attacks against Iran. A provocative article in Foreign Policy magazine suggests that Israeli Mossad officers recruited members of the Pakistani terrorist organization Jundallah to aid in the covert operations against Iranian targets, including bombings in the Baluchistan region and potentially the assassination of Iranian nuclear scientists. The Mossad officers, according to Mark Perry, posed as American intelligence agents during the recruitment, using US passports. The report sparked White House concerns that Israel’s [assassination] program was putting Americans at risk,” the intelligence officer told me. Iran claims to have proof that this was not a “false flag” operation. Rather, Iran accuses the US of actually engaging in assassinations. The US “categorically”–to use Hillary Clinton’s term–denies the charges. Perry’s interview suggests that if there any merit to the “false flag” operation, Bibi Netanyahu may have finally pushed Barack Obama too far by employing a”false flag” operation against the only friend Israel has left in the community of nations. As Chris Matthews finally acknowledged on his MSNBC program, the role of Israel as a deceptive partner could emerge as a political issue during the 2012 presidential campaign. 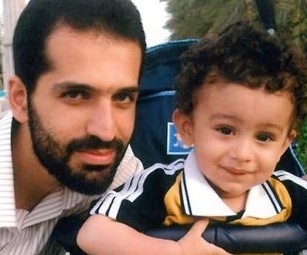 The picture above of Mostafa Ahmadi Roshan and his son, is an Iranian Fars News Agency Photo. States that claim they are fighting “terrorists” and then use terrorism to kill a string of scientists, working for their country, are beneath contempt. Israel acts as thougfh it is above all international laws. Their terrorism is acceptable, their nuclear bombs aimed at iran are wonderful, and their apartheid is good. What we have is the roque state of Israel, pushing once again, for the US to attack another country that has done us no harm. AIPAC, and other representatives of Israel in the US, have enormous influence on our Congress and media, and they use their considerable power against those who oppose war with Iran. Once again, Christian churches, who should be leaders against war, are as meek as lambs, and are ignoringf the march to war. If Christians won’t fight against war, who will in our country? Antiwar groups will do their best, but they need the Churches to be strong and bold in efforts to fight the march to war. Christians are missing in action, while Israel Firsters push for war. Will this ever change? Sometimes I feel you are a lone Christian leader Jim, calling in the wilderness for the flock to wake up and take action agianst another disastrous war in the making. Very alarming but then what else is new??? Thank God for people like you, Jim, who are brave enugh to speak the truth. In this particular Israeli/Palestinian vendetta (the root of our problem in the Middle East), we are being held captive by the lies that continue to be told in the media. Is it worth it? No, of course not. One day, the truth will out. Jim, as I read your always well-researched and -documented posting, I felt my levels of angst, frustration, and anger building. We, the USA, have been had by the awful likes of Ros-Lehtinen, Berman, and the legions of Zionists who have taken over the reins of governance (sic), all for their own Israel-first agenda and at the peril of Iraqis, Iranis, Palestinians, Lebanese (and yes, Afghanis, Libyans, and, in their own agonies, Jordanians, Egyptians, Syrians, and on across the Middle East). By “Israel-first” definition, they and their ilk are traitors to the country whose citizens they were elected to represent (sic). In this case, I fervently believe that we need to take a paradigm-shift action — an aggressive, outraged blowback on Ros-Lehtinen and Berman. And we need this shift not in ones or twos but in (many) numbers that will make the malefactors sit back and feel at least the heat and the winds of change demanded by humanitarian and patriotic Americans. I propose that all who read this plea (one) print two copies of this 15JAN12 posting, (two) compose a short covering letter; (three) address two envelopes to R-L and Berman, US House, WashDC 20515; (four) affix 44-cent stamps; and (five) mail. Obviously, earliest completion by all would be essential. I wouldn’t want a “chain mail” type of identical covering letter, but I offer this: I’d be glad to compose and send a “shell” letter, which could be individualized to suit personal taste or style, to any person who writes to me at stiver-aloha@hawaii.rr.com ( repeat: stiver-aloha@hawaii.rr.com ). I’d hope that this case, if it works, could be a springboard to similar actions specific to Jim’s postings. Merely as a possible future example, if Jim were to critique an action of the US State Department, floods of letters to State could expand the impact of the posting to the source — i.e., beyond the “choir” — and who knows? we might cause even a minor change in direction of the ship of State. Finally, if anyone is motivated to take this action without interim contact (e.g., covering letter) to me, I will appreciate notice that mailings to Ros-Lehtinen and Berman have been made — to stiver-aloha@hawaii.rr.com . Via such notification, I’d/we’d be able to assess interest, results, and whether future use of this paradigm shift is indicated. Your suggestion, Bob, is a good one. The fault is not that many of us have not flooded Washington with protests, etc, over the years, but that the Jewish “street” constituency has not taken part in adequate numbers to be recognized as a threat to the status quo. I have just turned 85, have lived in the Middle East ten years, and joined many of these kinds of protest movements, mostly to no avail. Some one from inside AIPAC (one of their own) has to speak out loud and clear enough so that there is no doubt that change is coming. I have not yet, to date, read about that kind of the “king’s loyal opposition” in formtion, to make spending all that money for 44 cent stamps worth it. The money is not the issue, it is the stranglehold on congressional power that continues decade after decade, that needs reforming. Bill, I waited these few days to respond as I wondered if another voice(s) might join in. Since that hasn’t happened, and because I take and respect your opinion, I’ll not further pursue tilting at this windmill. That leaves it up to us, the pro-justice human-rights activist community, but we’re too fragmented and dispassionate to rise up in the numbers that would be necessary for the Ros-Lehtinens to take notice. Bottom line: The “living stones” Palestinian Christians and their Muslim fellows will have to continue to wait, steadfastly, more decades for the justice and release due them. I’d much prefer that they not have to wait even one more day, but who am I but an old, impatient Westerner? More power to Jim Wall — he’s performing a great service in education and exposure.